I read somewhere that this was Baron Eric de Rothschild everyday red. I picked up a few bottles ($15-18)... Very nice bordeaux that can't be beat for the money. 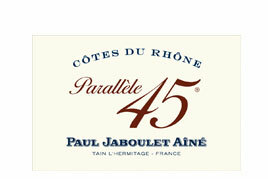 No offense, but I doubt that any Rothschild drinks Barons de Lafite except for marketing purposes. It's not objectionable in any way, of course, but there are two kinds of wines -- wines that must be aged before they'll taste like there supposed to and wines that are meant to be drunk young -- and red Bordeaux is the first kind. Any red Bordeaux (or fine cabernet or fine red Burgundy or any of a number of other wines) that is made like it is supposed to be must be cellared for at least 10 years or it will just plain taste awful. Many good wines in this category can be had for $25 or less. In ten years they're great wines. And expensive. The biggest cost component of a great old wine in a restaurant or liquor store is storage. The only way to have great Bordeaux for a reasonable price is to cellar it and drink it when it's ready. But most people don't have cellars (although a temperature controlled storage unit isn't that expensive) so they should stick with the second kind of wine. But because they don't understand wine they are easy marks for these wines made in regions (like Bordeaux) that produce aging wines in a "style" for immediate consumption. The grapes are all wrong, the soil is all wrong, the climate is all wrong and the methods are all wrong. It's like buying a Mercedes motorcycle. There are plenty of wines with a history of optimal drinking when young. There are lots of Italian wines that are very interesting and meant to be drunk young. Syrah/Shiraz from Australia is often vinified for no more than one year of aging. There are some wonderfully fruity zinfandels that are great young (although there are also plenty that need five years). Almost all American pinot noir is best within a couple of years, although a few (and the great red Burgundies) can improve for twenty. Study and ask a decent merchant what wines are meant for drinking now. They are usually affordable and much more satisfying that an expensive wine drunk too young. A $400 first growth Bordeaux new release will be an unpleasant, astringent tannic experience that people with more dollars than sense pretend to enjoy. And a $15 Bordeaux from a first growth's marketing department is generally not as good a bet as a $8 Nebbiolo or a $12 zinfandel. My wife and I enjoy Ruffino Chianti Classico, especially if we're dining Italian. It's somewhere between $15 and $20. I had that Chianti when I was in Florence last year, and was happy to see it available in the States. Great choice! I don't think I agree with a single sentence in your post. Have you visited bordeaux? If you ask for the marketing department of any first growth, they'd probably laugh you out the door! Secondly, Bordeaux wines aren't treated the same as Burgandy's. A young bordeaux is far from awful. When its too young, its too young but I would never categorize it anything less than that. In fact, I prefer Bordeaux's (even first growths) between 5-12 years because I like the mellowed tannins compared to little or none with older ones. Great insights. I feel the same about Burgundy. American Pinot Noirs are more suitable to my palate. I don't think I agree with a single sentence in your post. Have you visited bordeaux? Many times. And a first growth from a decent year at 5-10 years is not ready. Period. An off year, sure. But what's the point? Rosenblum Cellars Pickett Road Petite Sirah goes for $35 a bottle, but I found it at Costco for $15. Rosenblum is located at 2900 Main Street, Suite 1100 Alameda, CA 94501 so they are pretty close to you. He just buys grapes from vineyards, most of his wines are rated over 90 points. He is famous for his Zins (20 different labels). We mostly drink California wines, but also like Australian, New Zealand, German Riesling, and some Italian. GQ has gone so far as to call this wine "one of the greatest, easiest-to-find, most viscerally satisfying values in the world of alcohol"
Note, they didnt even say 'world of wine', but 'world of alochol'. Cost about $13 and I can attest that it is simply the best. Because some people like tannins which are more apparent before it peaks. Any one here home brew?